To set this excerpt up, you need to know that in Finding Hunter, a trucker named Gabe Angelino brought Hunter Painter home to Willow, after a six-month-long disappearance he nearly didn’t survive. Willow has always thought Gabe Angelino was a real angel. She’s wrong on that, but not TOO wrong. I don’t want to give away too much, but the following scene between Jake (Gabe’s real name) and Azrael, a very old, very powerful angel, demonstrates the kind of thing that can happen when you aren’t careful about saying no to powerful entities. AZRAEL’S EYES FLAMED a furious blue. In one blink, he disappeared from the cab’s passenger seat, reappeared by the driver’s door, and ripped it right off the truck, flinging it to the pavement. Before Jake could get his mind around that little trick, Azrael snatched him out of his seat, and hurled him across the empty parking lot with so much force, he might well have continued traveling a half mile or more, had it not been for slamming into the trunk of an enormous oak. Hard. This was a learning experience of the eye-opening kind, except for the fact that his eyes were squeezed tight in response to fear, shock, and excruciating, back-meeting-tree-trunk pain. Perhaps he couldn’t be killed outright—he was a bit cloudy on that issue, in spite of earlier reassurances—but clearly, breathtaking agony was still on the table. He’d had no idea Azrael possessed that kind of power. Yeah, he knew the angel was very old—possibly an archangel—but they were careful not to reveal too much about themselves, certainly not to those being recruited to help them on a more or less trial basis. The ferocious strength Azrael had just displayed left Jake stunned. Shaken to his core. Still groaning from the brutal pain in his back, he slumped to the ground at the base of the tree, desperate to catch his breath. He blinked away the red haze clouding his vision, only to wish he hadn’t. Azrael strode toward him, looming larger and more ominous with each long step. Somehow, the angel had acquired a colossal, glowing sword, which he brandished overhead, and his heretofore pale blonde hair floated this way and that around his face, blindingly bright, and looking far too much like flames for comfort. Apparently, angels of Azrael’s rank came with built-in loudspeakers featuring a volume capacity rock stars would weep to possess. Jake clapped his hands over his ears, praying he wouldn’t feel blood seeping between his fingers. It was all he could do not to curl into a fetal position with his arms crossed over his head, the better to await the smiting that was surely on the way. Not that he was exactly certain what-all smiting might entail, but it was bound to be a painful way to die. Again. JAKE’S FIRST DEATH—which he had really hoped would be his last—hadn’t been easy. Maybe no death ever was, but drowning had been a cold, terrifying experience. At least he’d had the satisfaction of knowing the woman he’d jumped in to save had been pulled from his arms and into a boat, even as he slipped below the surface, and drifted down to the silty bottom of the river. The last thought passing through his mind as his world went black around him was his fervent hope she wouldn’t waste a single day he’d bought her. The next time Jake had opened his eyes, he’d discovered to his utter astonishment that he wasn’t dead anymore. At least, that’s what he’d thought at the time. Instead, he rested on a warm, comfortable, and gloriously dry bed in the hushed stillness of a room painted the soft purple-gray of an early evening sky. Looking back on it afterward, he wondered if perhaps it had really been the sky he’d seen around him, and not walls at all. But at the time, he assumed he was in a hospital room, having been rescued from the ice-cold depths of the murky river just in the nick of time. Oooh, this is wonderful, Marcia! I love the way you describe Azrael from Jake’s POV. This definitely sounds intriguing. I have all the Riverbend novels on my Kindle and just need to catch up with the last two. The Emissary sounds fantastic! A good start my friend!! Keep writing. I can’t wait for this one, Marcia! It´s such a great feeling when it all comes together. 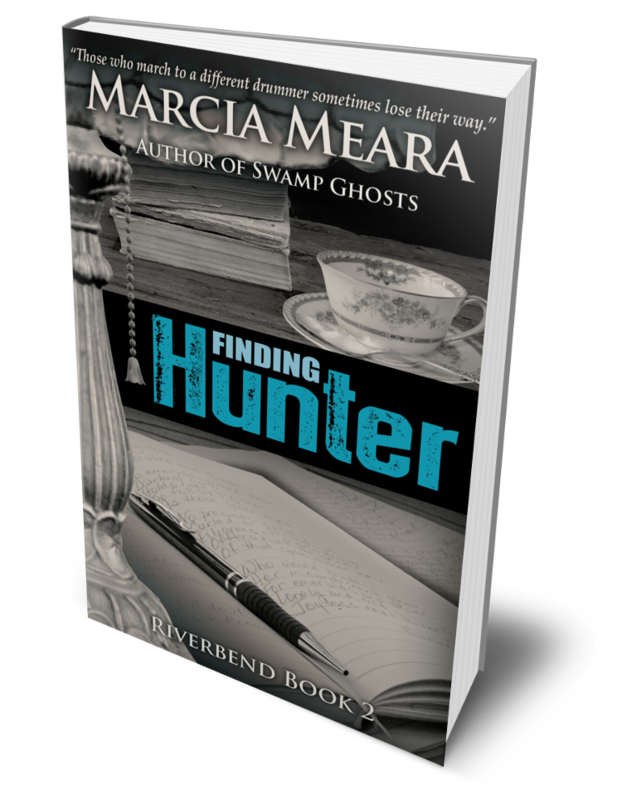 Probably not, but you’d get a few hints about Finding Hunter that it would be better not to know ahead of reading it. You probably have until November or so. READ FAST! Hahahahahaha. That’s great, Felicia! I hope you enjoy them. 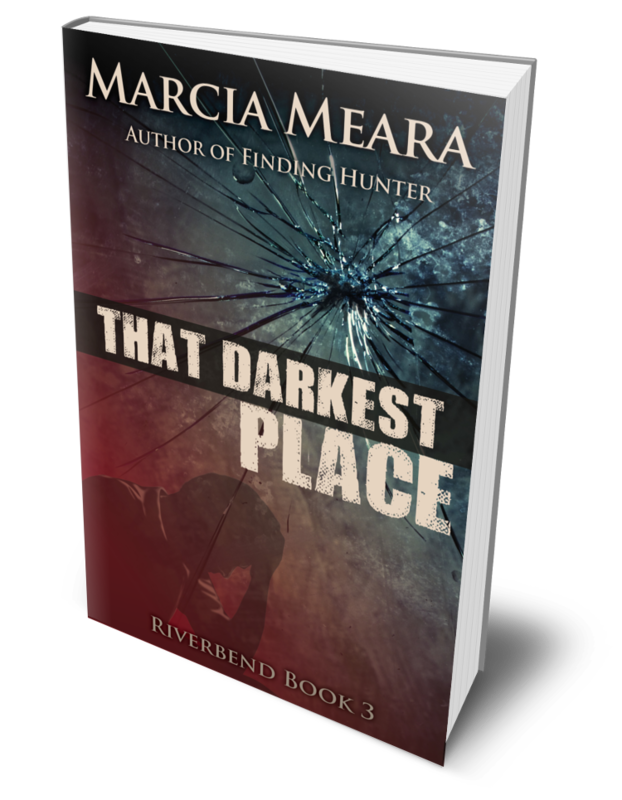 Unlike my Wake-Robin Ridge series, the Riverbend series has nothing paranormal in it, because the people who live there are weird enough all by themselves. However, this spinoff novella, which takes place outside of Riverbend (on the road,mostly) certainly does, as you can see from the excerpt. Once I let this guy drive on by, I decided he was fair game for whatever light fantasy or urban fantasy I wanted to visit on him. So I sent him a big, ol’ Old Testament Style angel warrior. The result is turning out to be a really fun story to write as I stretch my wings (no pun intended) in a new direction. Let me know what you think, if you do get to read the books. 😀 Hope you’ll enjoy them. Oooh! I LOVE it! Can’t wait to read the finished novella! Actually my Kindle has glitched and all the books on it have vanished, so I’m having to go back through my content on Amazon to search for what I have, and none of it lined up in any order. Annoying but almost liberating to have an empty Kindle. OMG, if I lost my Kindle books, I’d croak!! Even with two rooms filled with floor to ceiling bookshelves, I read almost exclusively on my Kindle. And yeah, I know you can retrieve the books from Amazon, but holy moly, what a job that would be!!! Eeeeeeek. Good luck!!! Oh, I like this. I’ve read the first Riverbend and hope to start on the second one soon. I better get a move on. I feel that way all the time, Mary. I’m so swamped and my TBR pile is threatening to bury the house!! 😯 When you do have a chance to read the other two Riverbend books, I hope you enjoy them. And this spinoff novella, too! 😀 So glad you liked the excerpt! You said it further up but I was thinking that was an old Testament angel. It is easier reading, I must say. Well written and engaging. Thanks! I’m glad you enjoyed it! 🙂 I’m having fun with my What-If light fantasy. I enjoyed it very much. But I think I’ll start with the RiverBend series. It sounds like an intriguing setting. I hope you enjoy the Riverbend series. By the time you finish, you might feel like reading the spinoff. Or not. 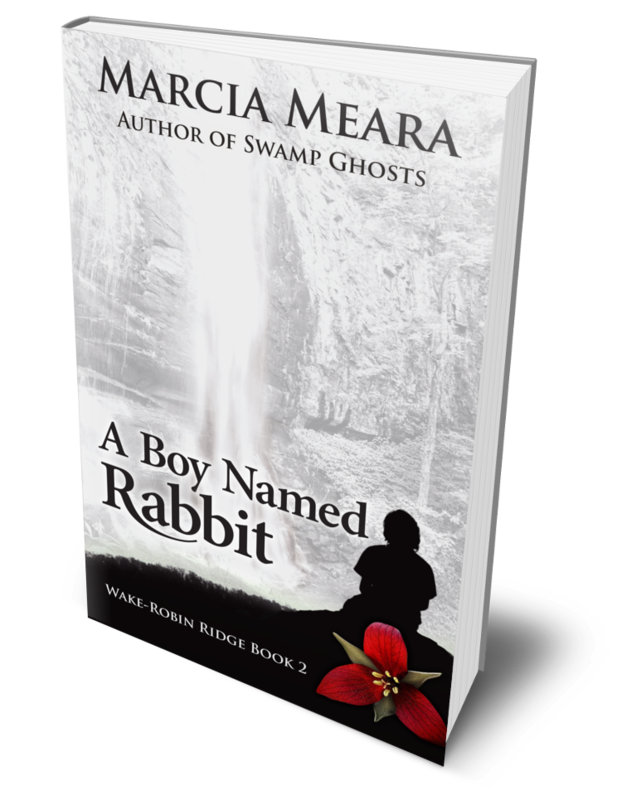 And then, there’s always the spooky stuff on Wake-Robin Ridge, where a little boy has taken over by Book 2, and changed the world for everyone he meets. 😀 In the meantime, Riverbend is filled with eccentric souls, one of whom keeps some very unusual pets. But not chickens. 😀 Thanks for your interest, and in all seriousness, if you do read any of the books, I hope you enjoy them. They cover a wide series of things from a serial killer, to an albino living in the woods, to emotional traumas such as PTSD, agoraphobia, and survivor’s guilt. Such sturm und drang in the little Florida town. 😀 Have fun! You are right again. Started with first book from Wake-Robin Ridge. It will be a bit before I get to start reading, unfortunately. Well, when you do, I hope you enjoy WWR. The North Carolina mountains are my favorite place on the planet. (So far.) And I only intended to write the one book, so I threw everything I could into it. It was a blast to write, and I love each and every character (except one) as though they were my next door neighbors. Wait. I don’t even know my next door neighbors. 😯 Well, you get my drift. Hope you enjoy it when you get to it. 😀 Thanks! 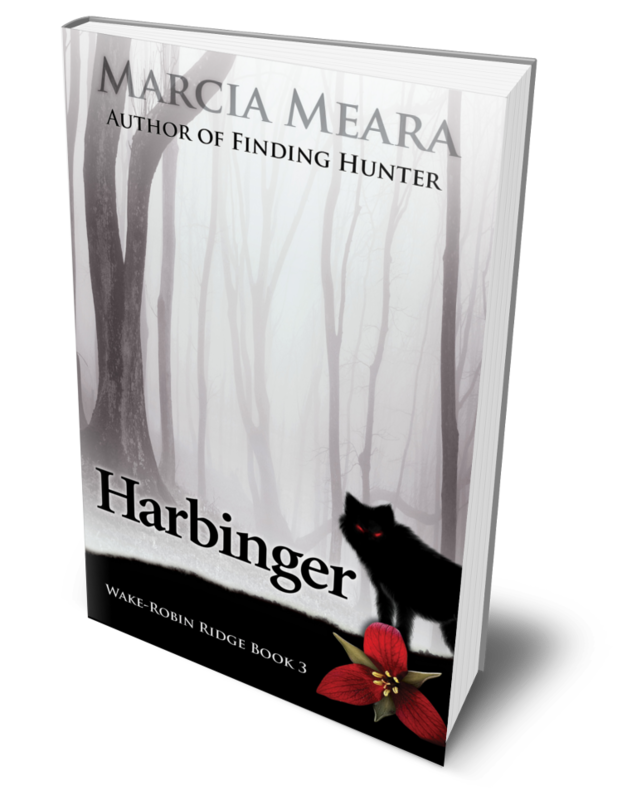 Now the Wake-Robin Ridge series definitely IS paranormal, but in a milder sense. Appalachian legends about ghosts, The Sight (ESP), and mostly recently, the legend of the Black Dog, who is a harbinger of death. He’s called Ol’ Shuck in the mountains, and you want to avoid him at all costs. I’ve heard of the Black Dog before. Cool. 🙂 Oh, and that’s okay. You can give me a hard time. LOL. When does the excerpt week end?? Being a huge fan of angels, demons and anything supernatural, I’m going to HAVE to grab this series! Looks amazing! First, let me warn you. 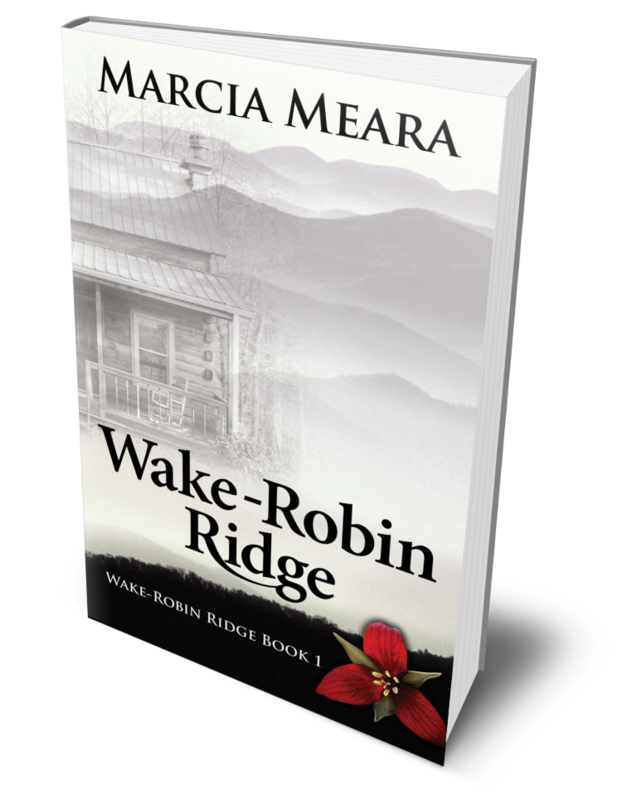 The Wake-Robin Ridge series has paranormal elements, connected to Appalachian legends. Ghosts, ESP, and the legend of Ol’ Shuck, the Black Dog. The Riverbend series does not. 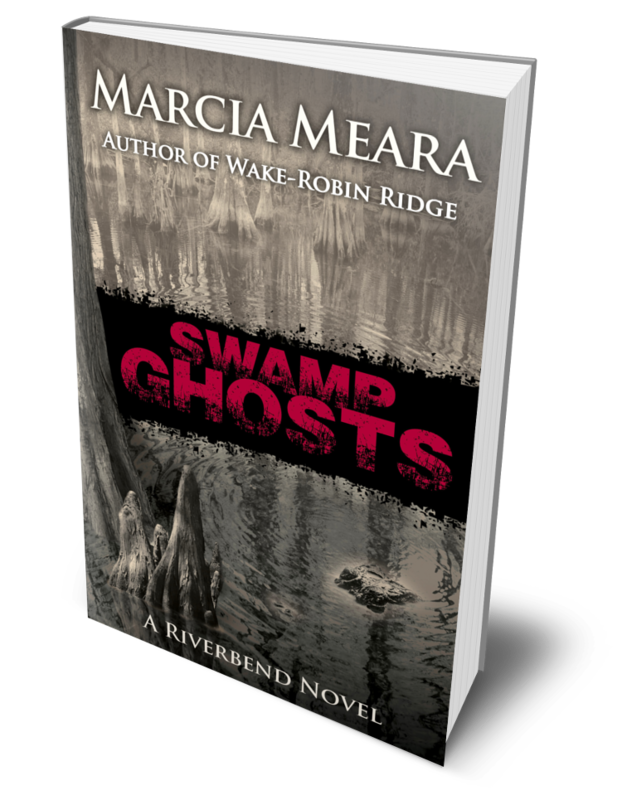 The tag line for the series is “Welcome to Riverbend, where the most dangerous animal in the swamp walks on two legs.” Lots of eccentric, weird, and sometimes deadly people, but nothing supernatural. The Emissary is a spinoff, in that it follows a guy who stopped by the town, then headed out on the road to other places. Because he’s not a denizen of Riverbend, I decided to let him be the possible start of another fantasy series. Thus, Azrael enters the picture. Thanks, Marje. I’m learning more about the craft every day. (Who says you can’t teach an old dog new tricks?) This little spinoff tale has my betas begging me to make it a series, and I’m considering it. But if I do, I either have to bring one of my others to an end in the next book, or make this one a series of novellas. And I think a series of novellas might be the answer. Just enough of an adventure each time to be exciting/interesting/creepy/sad and then, a set up for the next one. That might be doable. Wow! Great excerpt! I’m hooked! Love Angels and I thought Gabe in Finding Hunter was an intriguing character. Here’s keeping fingers crossed you are able to publish this on your timeline! Good luck. I’ll be in line to buy that novella for sure. Thanks, Marie. I hope you will enjoy it. I just finished the draft of CH 11, and think one more and a very short epilogue will do it, so I’m pretty optimistic it will be out this fall, depending on how long editing takes. 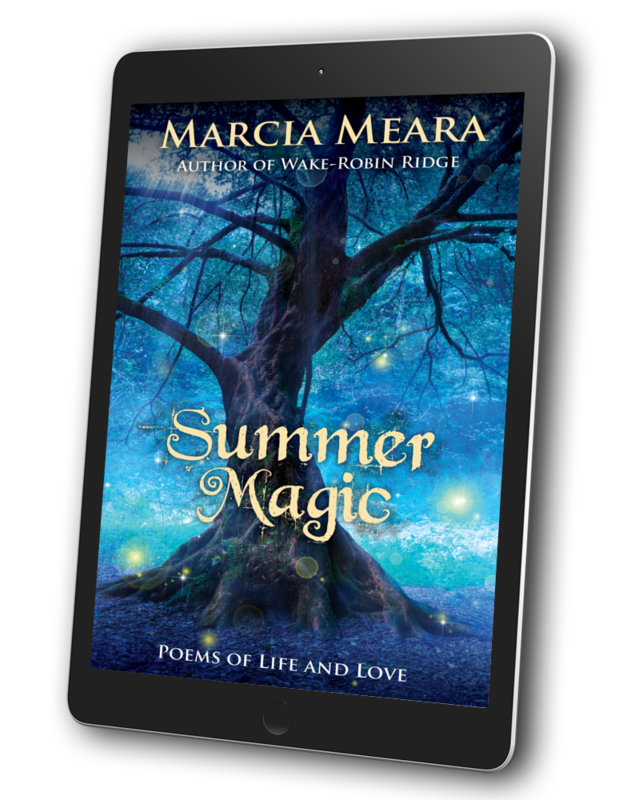 Check out this excerpt from Marcia Meara’s novella, The Emissary, as featured on her blog. You’re welcome. I’ll help spread the word as it draws closer. OH, man! I need 1,000 more just like you. 10,000 more. How fast can I have you cloned? 😀 Thank you so much for such kind words, Tina. I have to admit, I’ve had a lifelong love affair with words, and in an era where the trend is toward shorter, tighter prose, I’m a bit of an anomaly. I’m learning to try to find a happy medium, though I’d rather write like Daphne du Maurier, drizzling words down the page to create images you can see and feel and smell. A very intriguing excerpt, Marcia. Keep up the great work. It is a most intriguing idea, Marcia. Well done on getting so much done so quickly.